Author: Schickel, Richard Set In . . . Description: In this book the celebrated film critic and biographer turns to a story of his own life during the years of World War II. Richard Schickel's engaging memoir is not a fashionable tale of childhood abuse, but it does chart the growth of one addiction: a boy's attraction to the movies, which was to become a lifelong passion. In the dark movie palaces of his youth, Mr. Schickel confesses, he surrendered a great deal of his imaginative self and found the romance and heroic adventure so lacking in the serene and placid little world he inhabited. Looking back now, he finds that much of the drama in his young life was covered in silence, duplicity, and misdirection-a happy middle-class fiction that evaded the harsher facts of life. And so did Hollywood. It showed us fantastic possibilities and made them plausible, but in so doing it profoundly misled us about the nature of the war, our soldiers, our government, and the home front. 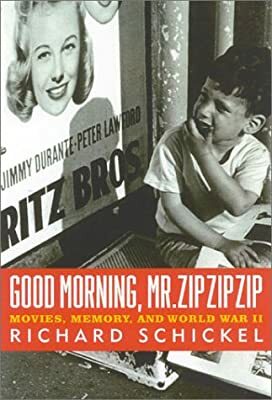 Good Morning, Mr. Zip Zip Zip is Mr. Schickel's effort to set the record straight about that view of the war promoted by our popular culture, and he does it by illuminating the meaning of wartime films set against the background of his own growing up. It's a wonderful reading experience.